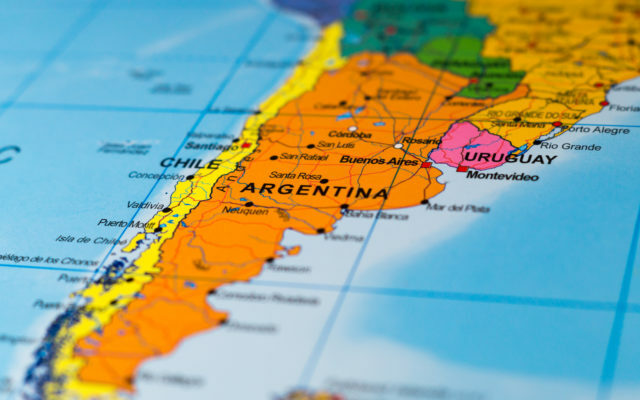 Argentina ends the year on a Bitcoin high, as Athena Bitcoin Argentina rolls out seven Bitcoin ATMs (BATMs) with more to come. This now makes it the country with the fourth highest number of BATMs in Latin America. Before 2018, Argentina was faring rather badly in terms of BATM numbers, with only two in the whole country. Both of these were in the capital, Buenos Aries, although one was a very cool looking ‘arcade‘ machine, which also acted as an educational tool. One of the designers of the arcade ATM, Santiago Molins, is now Director of Innovation at Athena Bitcoin. His vision for a Bitcoin-savvy Argentina is clearly a lot larger in scope. The company has installed five new machines since September, in high traffic locations like shopping malls and Walmart stores. These are all in Buenos Aries, and Molins says there are another two devices not yet showing on CoinATMRadar. The idea is to put in the first and second week of January the last ones that we have left in the laboratory, which would be two or three more. At this moment we are covering the Federal Capital, Buenos Aires and its surroundings. Certainly, the jump from two Bitcoin ATMs to twelve or thirteen is a fairly impressive gain. The reasoning behind it, however, is somewhat less impressive, as sadly Argentina is going through a similar financial crisis to Venezuela. While in humanitarian terms, the situation is a far cry from Venezuela’s economic turmoil, inflation in the country is rampant. LocalBitcoins volumes have spiked, as residents flock to Bitcoin and other cryptocurrencies in an attempt to protect their savings. Expect to see a further influx of BATMs in the next year if the Argentinian economy doesn’t get any better. But What About The 4000 ATMs Promised? A very good point. In May, Bitcoinist reported that easing of regulations was set to see an explosion of ATMs across the country. US firm Odyssey touted a pre-agreed 4000 of the machines and claimed to have already installed 200 the previous year. Apparently, that was all talk and no trousers. Back in October, Odyssey was still supposedly planning 150 ATMs by the end of this year, of which 80% were to be operational by the end of January 2019. This was to be followed by about 1600 BATMs by the end of next year. Seems it’s best to count the devices on the ground, rather than the ones in some executives head. Can Bitcoin ATMs boost adoption and help people avoid inflation in Latin America? Share your thoughts below! The post Argentina Gets 7 New Bitcoin ATMs For Christmas appeared first on Bitcoinist.com.